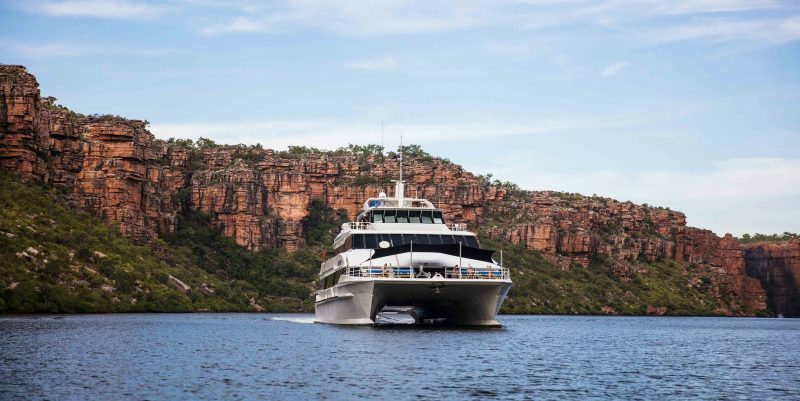 Cruise the Kimberley in style. Their Kimberley Cruises offer a unique itinerary, with small enough cruise vessels and passenger numbers to offer flexibility. With a personal family feel, Kimberley Expedition’s focus on value for money for their travellers. There is no better time than now to cruise the Kimberley. Come on board their 38-metre expedition vessel MV Reef Prince and find yourself cruising through towering gorges and tributaries, zipping ‘down river’ in Regent the excursion tender and enjoy waterfalls such as King Cascade or the King George Falls. Kimberley Expeditions offers affordable Kimberley Cruises with a proven history of quality customer service. 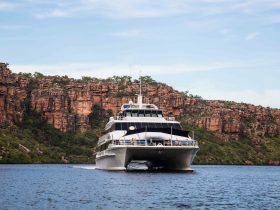 See their range of available cruises throughout the Kimberley region, departing Darwin and Broome, as well various other expeditions full of breathtaking sights! 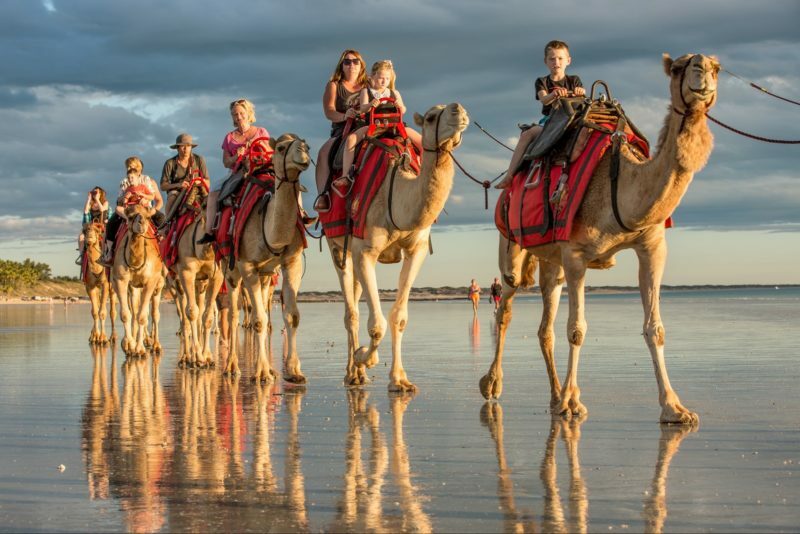 Your Broome to Darwin 11 day cruise awaits! 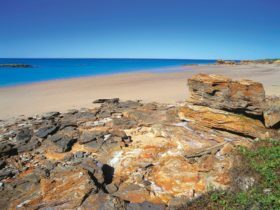 This amazing Kimberley adventure departs from Broome. Come aboard their comfortable vessel, Reef Prince, to witness the unspoilt natural beauty and spectacular scenery. Their vessel Reef Prince is a custom-built 38-metre expedition vessel. The advanced catamaran design ensures very quiet operation, spacious interior with phenomenal stability. Perfect for sneaking into secluded shallow bays she draws only 1.8 meters and is powered by two quiet Mercedes diesel engines. 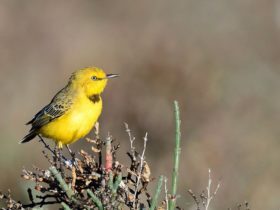 Most attractions are at their best during April to November, waterfalls are flowing, gorges are full, flora and fauna are at their abundant best. Ideal conditions apply for walking, exploring and experiencing one of the worlds most remote and tranquil destinations. 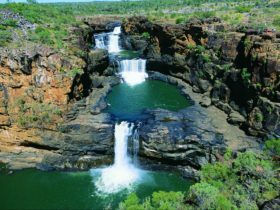 Their crew are experienced guides and will share with you their knowledge of the Kimberley and guide you safely on all excursions. The dining area can seat all passengers comfortably for meals or presentations. Outside on the upper deck all guests can be seated under shade for alfresco meals and presentations, Reef Prince has three other comfortable outdoor viewing decks. Reef Prince allows for comfort for all guests with a choice of accommodation types to suit all budgets. Join them for an amazing 11 day Kimberley Cruise from Darwin to Broome. This adventure of a lifetime departs from Darwin. Join them aboard Reef Prince to experience the best the Kimberley has to offer including. Reef Prince is a custom-built 38-metre-expedition vessel. The advanced catamaran design ensures very quiet operation, spacious interior with phenomenal stability. Perfect for sneaking into secluded shallow bays, she draws only 1.8 meters and is powered by two quiet Mercedes diesel engines. 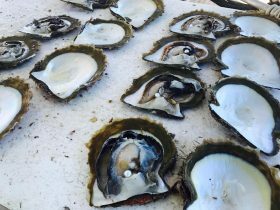 Come on a 13-day Coastal Cruise Expedition with Kimberley Expeditions and cruise from Perth to Broome. Reef Prince is a 38-metre custom-built, fully air-conditioned, large stable catamaran. The advanced catamaran design ensures very quiet operation, spacious interior with phenomenal stability. Perfect for sneaking into secluded shallow bays, she draws only 1.8 meters and is powered by two quiet Mercedes diesel engines. Most attractions are at their best during April to November, waterfalls are flowing, gorges are full, flora and fauna are at their abundant best. Ideal conditions apply for walking, exploring and experiencing one of the worlds’ most remote and tranquil destinations. Reef Prince offers you numerous areas to relax. Under the sun on your choice of open air decks or undercover on the alfresco deck or inside within her lounge, coffee shop, reading rooms, library, movie room or office. Experience the cruise of a lifetime and let your crew use their years of experience and passion for West Australia’s coastal secrets and show you the best West Australia has to offer! Their Rowley Shoals cruises take you to the ultimate diving and snorkelling destination. Warm water, incredible visibility and life in all shapes and sizes to wet your appetite. Rowley Shoals cruise with Kimberley Expeditions is an opportunity to experience a diverse array of snorkelling and diving environments including lagoons, canyons, sheer vertical walls, high speed drifts, caves and night dives. The Rowley Shoals are a chain of coral atolls on the edge of one of the widest continental shelves in the world. The Rowley Shoals three pear-shaped atolls have shallow lagoons inhabited by corals and abundant marine life. Each atoll covers an area of around 80 to 90 square kilometres. The coral atolls of the Rowley Shoals are famed for their almost untouched coral gardens, giant clams and other shellfish. Giant potato cod and maori wrasse wait to be hand-fed and follow divers around, while colourful reef fish show little fear and trevally, mackerel and tuna hover in schools. Their Rowley Shoals Cruise is very popular so be sure to book early!